Multi-site Pig Production is the first comprehensive description of the most profound changes that have occurred in swine production methodology in many years. Dr Harris is singularly qualified to write this book because he has played a pivotal role in the development of multi-site rearing techniques that are being applied throughout the world. This book provides final definition for a variety of terms being used to describe swine production methods. A standardised nomenclature facilitates more accurate future interactions between participants in swine production systems that involve multiple sites, buildings, and rooms with different age groups and functions. 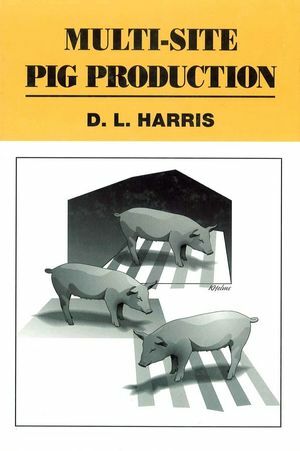 D. L. Harris is the author of Multi-Site Pig Production, published by Wiley. This book is a necessity for those seriously interested in the economic future of the swine industry.